Smyle has won a contract to organise next year's Citroen UK National Dealer Conference, following a pitch against three other agencies. The agency will manage all aspects of the Citroën conference, which will be attended by 900 delegates when it takes place in January 2012 in Manchester. Smyle’s brief includes handling delegate management and logistics, media design and production management. 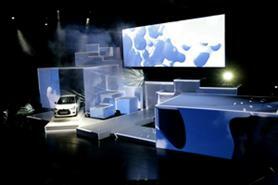 Rick Stainton, Smyle’s managing director, said: "Citroën were very clear they wanted to take a very different approach to the event we produced for them last year, which was focused on product and the 3D mapping technology used to introduce the new models. "This year they wanted a different orientation and platforms for engagement with the audience, so the focus was a dynamic shift towards content, media and interaction. This is designed to run through all pre event communications, the event format and post event follow up. "It’s a very exciting and dynamic journey we will be taking the delegates on and the team at Smyle are very proud to be able to work with Citroen on this project." Neville Staines, Citroën’s national events manager, added: "With Smyle’s help we pushed the boundaries at our last conference with the use of 3D mapping technology, and in January we plan to up the ante once again but using a very different format. It will be bold, engaging and exciting. "I’m totally confident that Rick and his excellent team will deliver another first-class event."